Globalization is advancing in all aspects of society, and the perspective of "diversity" is required in various fields. A broad range of activities have already been launched with the goal of attaining co-existence based on mutual respect of each social actor's culture and sense of values, without being bound by national or ethnic differences. 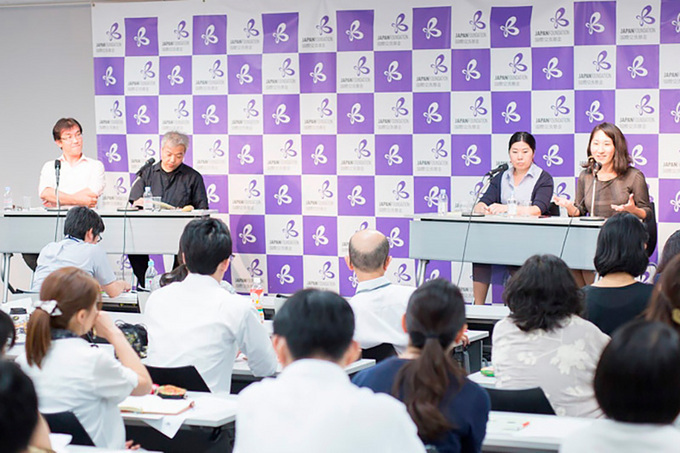 The Japan Foundation has focused its attention particularly on activities that attempt to build diverse communities using art as a tool for communication, and held a talk session on the theme "Diverse Society Connected through Art" in line with these trends. The talk session was conducted with the participation of Shigeaki Iwai, Shuko Ebihara, and Ayaka Yamashita, who are engaged in art projects that pursue connections transcending national and regional borders, and moderated by Taro Tamura of the Institute for Human Diversity Japan, an organization which supports community-building with consideration to human diversity. The participants explained the content and future prospects of their activities, and spoke about the possibilities for a diverse society. 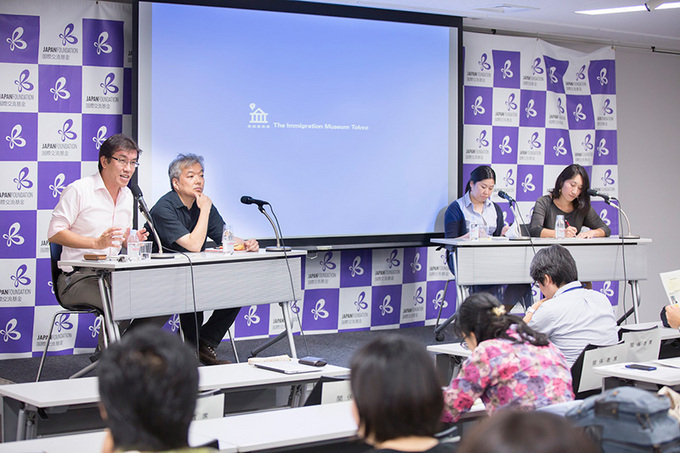 Moderator Tamura (first from the left) presenting the definition of "diversity"
Tamura: The definition of "diversity" in a dictionary is "the quality or state of having many different forms, types, or ideas," but as a social phenomenon it has various definitions. Generally speaking, "diversity" means a state of having people who are of different races, genders, or cultural backgrounds, or who have different lifestyles, recognize and accept their differences, exercise mutual impact on each other, and coexist in harmony. This is the definition of a diverse society. So through what kind of connections and mutual influences is this state of harmony born? Today, as we search for answers to this question, we will hear presentations of actual cases from the three participants. I am sure we will have some an interesting discussion. Iwai: Since 1990, I have experienced multiculturalism overseas, which spurred strong interest in this issue. I was particularly fascinated with the Immigration Museum in Melbourne, Australia. In addition to the refined permanent exhibition, the museum presents exhibitions that attempt to show the real life of immigrants through works of modern artists who have migrated to Australia. Inspired by the concept of this immigration museum, I launched the Immigration Museum Tokyo in 2011. The main purpose of the Immigration Museum Tokyo is to present the cultural background of individuals who have newly migrated to Tokyo and local non-Japanese residents through their everyday life. At the same time, the museum explores the changes that their cultures and lifestyles undergo in the course of their life in Japan, or, conversely, the values that do not change, and the creative and ingenuous approaches that immigrants adopt in order to cope with the challenges of life in their new home. Specific examples of our activities include exchanges between local residents and newcomers through the means of modern art, and creation of artworks that embody the realizations, discoveries, and impressions gained through such communication. These works are presented in exhibitions hosted by the museum. Since 2014, we have based our activities in Tokyo's Adachi City, and in February 2015 we held an exhibition titled The Form of Encounters. 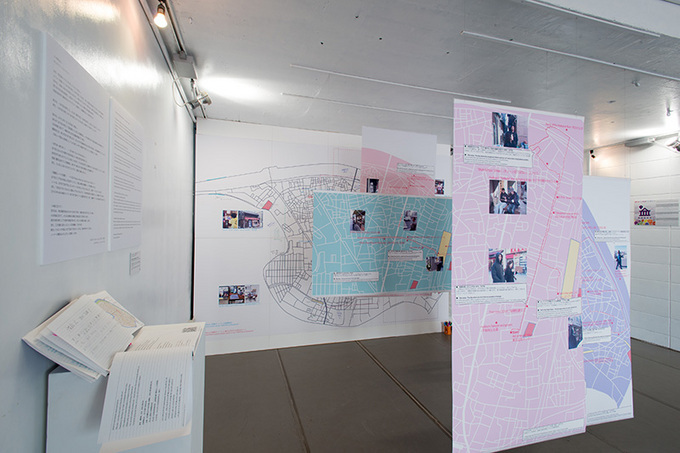 The installation featured maps with scenes of "another Kita-Senju," which reflect the new ways in which local people came to view their community after tours of the Kita-Senju area guided by non-Japanese residents, as well as a project to replicate the famous Filipino fast food restaurant Jollibee together with the Filipino community of Adachi City. 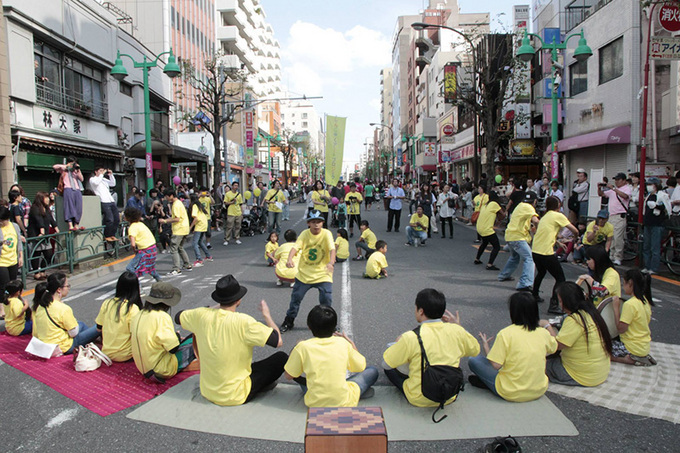 Such communication projects implemented with the participation of local residents constitute the core of the activities of Immigration Museum Tokyo. Local residents interact with newcomers in order to create artworks, and, going forward, we intend to archive the various methodologies gained through this process and its outcomes. Our long-cherished wish is to make such archives available on a nationwide scale as an open-source database and thus promote cross-cultural understanding across Japan. Top: Exhibition of maps featuring scenes of "another Kita-Senju"
Yamashita: We established the brand EDAYA, under which we release collections of handmade jewelry made by craftsmen of bamboo musical instruments of the Kalinga tribe, a highland indigenous people from the Philippines. The design of the jewelry features original bamboo musical instrument motifs. As a graduate student, I visited the northern areas of the Luzon Island as part of my research on mining, and there I encountered the bamboo instruments and folklore music of the Kalinga tribe. The hardships of life have forced Kalinga people to work as miners, and as a result the techniques of their ancient craft are gradually fading into oblivion. I searched for ways to ensure the passing of Kalinga's intangible cultural heritage to the next generation in a manner that would balance culture with economic sustainability, and eventually, in 2012, I launched this project in cooperation with Kalinga craftsmen of bamboo musical instruments. Three years have now passed since the start of the project, and today the scope of our activities is expanding. With respect to the ongoing field research of the Kalinga cultural background, we launched workshops for children. 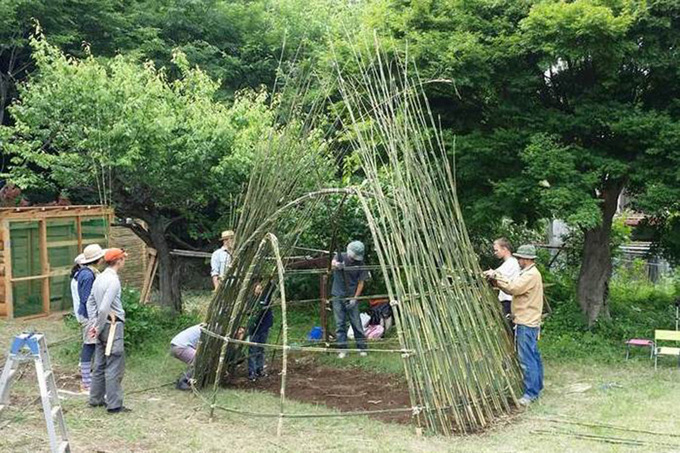 In an attempt to establish connections between the Philippines and Japan on a local level, we also hold cultural exchange events in various regions in Japan, to which we invite Kalinga craftsmen and they make musical instruments using Japanese bamboo. We expect that through such experiences, Kalinga craftsmen will realize the importance of preserving their intangible culture, while young people from Japan's local regions may gain hints on how to make good use of their indigenous culture. I was born deaf in my left ear. All my life I have been aware of my belonging to a minority of people with disabilities and have been eager to get involved in activities for empowerment of minorities. This awareness inspired me to launch the collaboration with the Kalinga people, who are also a minority. There are various minorities in society. The goal of our project is to create opportunities to establish links among these various minorities, and also to connect minorities with the majority. Tamura: When approaching the issue of diversity, many people focus on the empowerment of minorities. However, unless we also induce changes in the attitude of the majority, an overall harmony can never be achieved. Ms. Yamashita's talk made me realize that the presence of specific and tangible tools, such as jewelry and musical instruments, is essential in order to transform the awareness of the majority. Ebihara: Since the launch of the project in 2009, we have been engaged in various activities inspired by the idea that young foreign residents and children with diverse backgrounds represent the potential of Japan's society. We want to create a society in which various differences create not disparity but affluence. This is our vision. To attain it, first we must create opportunities for young people and children with diverse backgrounds to have experiences that will make them understand that being different from other people is in fact something positive. Under this concept, we have been holding art workshops, which provide diverse people with opportunities to get together and hold discussions. For instance, we hold photography workshops, at which participants go out into the streets, take photos of things that impress them, and then present their works in order to share the differences in their perspectives. We also organize music workshops, dance workshops, and theatrical workshops. Our workshops do not narrow down the scope of participants. Their age range is very broad: from six-year-old foreign residents to seventy-year-old locals. They also come from various nationalities. We have participants from the LGBT community and children with disabilities. This diversity is not the result of conscious efforts. It just happens that our art workshops stimulate the establishment of temporary communities composed of a diverse range of people. Since around 2013, young foreign residents in their early twenties who find themselves somewhat isolated from the trends for multicultural coexistence began to participate in our workshops. Moreover, a growing number of participants express ambitions to plan and organize their own workshops. Today, they work with us as youth members to plan and run workshops. However, we came to the realization that unless we raise the visibility of foreign residents in Japan--their thoughts and ideas--our regional workshops will fail to bring social changes. Having a broad range of people with diverse points of view and skills gather and collaborate is a much more powerful approach to solving issues. Going forward, we intend to pursue activities that take full advantage of the potential of our diverse members. What needs to be done to spread initiatives for multicultural coexistence to other regions? Tamura: I believe the common issue posed in the presentations of our three participants is how to expand their current activities. What kind of initiatives do you think are necessary in the future? Iwai: It seems to me that the approach of creating works solely from the perspective of volunteer citizens is reaching its limits. There are still few newcomer artists in Japan, but I believe exhibiting interactive works that incorporate their perspectives will become important in the future. Yamashita: In our project, we are dealing with the traditional culture of the Kalinga tribe, so its scope is extremely limited. Culture, however, is limited by definition, and that is precisely why it is significant. So how can we expand a project that deals with such a limited subject to other regions? So far, we have organized various events and exhibitions in addition to jewelry creation. Through such diverse endeavors to provide contents and stimulate exchanges, we hope to inspire other regional initiatives. Ebihara: There are three important tasks. The first one is "to connect." For instance, if you are trying to connect a multicultural organization or a specific region with an art project, having an artist participate out of the blue, without laying the groundwork, will not ensure the smooth implementation of your project. I also work as an interpreter, and in the broad sense of this word, I hope to serve as a good mediator. The second task is "to foster." I believe it is important to foster leaders who will become role models. Implementation of actual projects with young people will help them develop independence, and will also provide opportunities for them to learn various practical skills, so we will continue to foster human resources by creating projects together. The third task is "to create." It can also perhaps be referred to as "diversity management." Having shared ideas is extremely important when people who are different from each other attempt to carry out collaborative activities on a continued basis, but it is also necessary to implement rigorous management that takes into consideration the differences in the backgrounds and cultures of all participants. Through practical experience, we are exploring the modalities of an organization capable of taking advantage of differences, so we hope that our work will come to embody the strengths of diversity. Also, we will be happy if, based on such experience, we become an organization capable of proposing the optimal modalities for diversity management. What is the source of the power of art projects? What will diverse society look like ten years from now? Tamura: I'd like to begin the Q&A session now. If you have any questions or opinions, please share them with us. 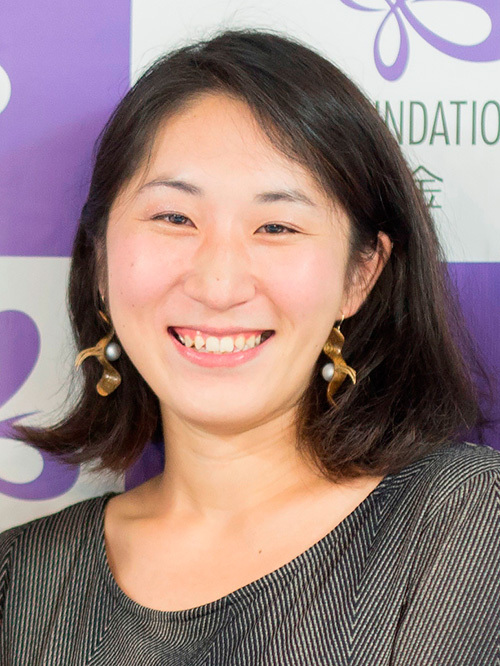 Q: Activities carried out under the theme of multicultural coexistence often tend to contract rather than expand, but my impression from the projects implemented by Ms. Yamashita and Ms. Ebihara is that their activities have emerged and are expanding somewhat naturally. What are the conditions and factors behind this phenomenon? 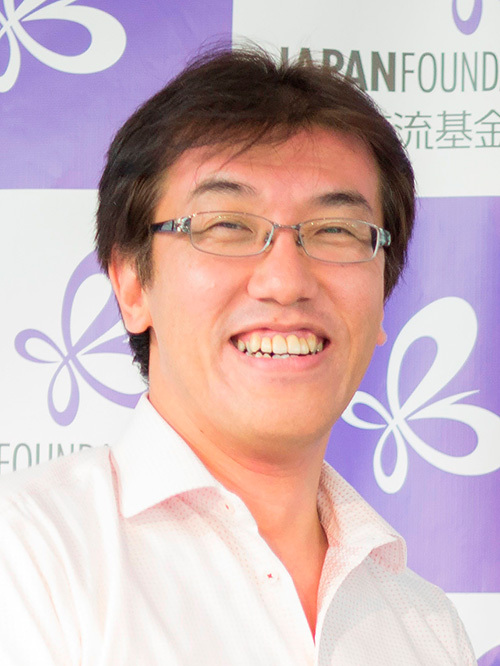 Yamashita: Our project is an example of a business model for marketing works created by a minority tribe to a developed nation, but in order to get the people of the developed nation interested in the fate of the Kalinga tribe, which created the products, it is essential to establish relations of mutual understanding. In the developed nation, too, there are people who feel that they belong to various minorities, such as, for instance, people who resist the current public opinion, or innovators who are ahead of their time. Our task is to find ways to increase the number of people who can identify with diverse cultures by developing activities that could bridge the gap between minorities in developed nations and in developing nations, such as creation of artworks, holding of exhibitions, and publication of books. Ebihara: To new members who say they want to engage in self-initiated activities, I always ask the following question: "What exactly do you want to do?" Based on their answer, we come up with common ground between the things we want to do and create shared goals. This approach is perhaps one of the reasons our project has continued so long. Iwai: The exciting thing about art is that it offers opportunities to encounter and become aware of different values. Communication through art with people of different cultural backgrounds should be even more exciting. I think this is the source of power that keeps our activities going. Q: I am interested in the Immigration Museum Tokyo. Are there other artists apart from Mr. Iwai who are engaged in activities to create common ground between art and the issue of immigration? Iwai: I am sure there are many artists who are interested in diversity. Japanese artists who have lived and worked abroad under artist-in-residence programs create works with awareness of cultural differences. That is the way it happened for me. This experience enables artists to preserve their sensitivity regarding the foreign perspective even after returning to Japan. There are many artists who find their themes through this kind of experience. Q: How do you think the state of multiculturalism will change in Japan in five or ten years? Yamashita: A movement to accommodate change is on the rise in Japanese society overall, driven mainly by the younger generation. I believe that five or ten years from now relationships will have become even "flatter," and more people than today will have embraced the concept of diversity. Ebihara: Five years from now... That will be the year of the Tokyo Olympics (laughs). I think the word "diversity" will have become even more prevalent throughout society. But I am more excited about the situation ten years from now. I hope that the movement of people across Asia will have become as dynamic as it is in Europe today. 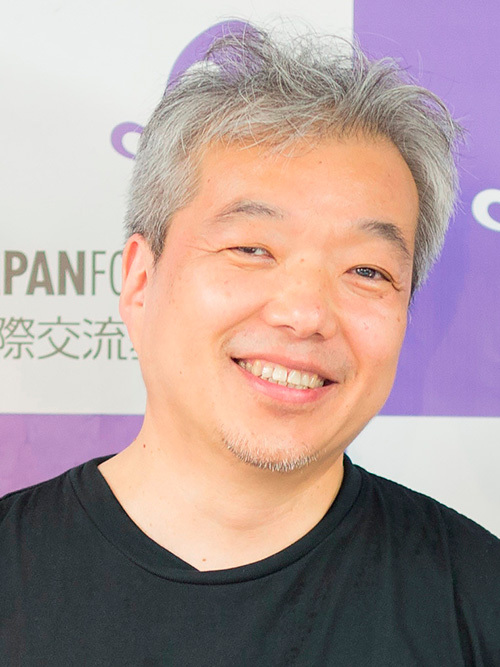 Iwai: Apart from large events, such as the Olympics, I think that dynamic changes that can be seen and felt in our daily life will not occur in the next ten years. Political transformations and changes in attitudes, however, will become more active below the surface. Tamura: I believe that we will see significant changes in multiculturalism in the next ten years. Foreign immigrants who until now have been the recipients of assistance or subjects of research will become leaders who will propagate new ideas. We are already seeing many signs of such changes. On the other hand, there are many aspects of education for foreign children and young people that need to be improved. Also, the growing number of elderly foreign residents will become a significant problem in the future. It will be necessary to convey such issues in an easy-to-understand manner and advance efforts to respond to multiculturalism in the field of welfare. I think art will become a strong and reliable ally in our efforts to deal with these issues. I hope that five or ten years from now, the word "diversity" will come to mean "source of new energy." Personally, I was able to discover this possibility in the projects of the three speakers today. Representative of the Institute for Human Diversity Japan. In 1995, in the aftermath of the Great Hanshin Earthquake, he participated in the creation of the Foreigners' Earthquake Information Center (the present Multicultural Center Tokyo). 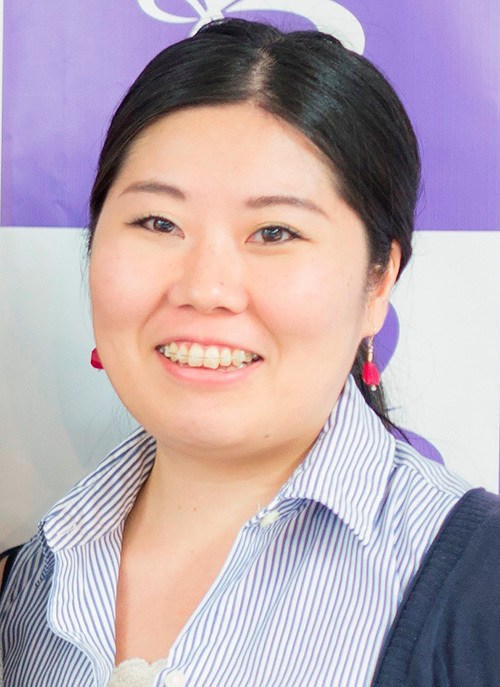 Since 2007, Tamura has served as representative of the Institute for Human Diversity Japan. He actively pursues various projects to support and promote companies, non-profit organizations, and local authorities in their activities to contribute to multicultural coexistence. 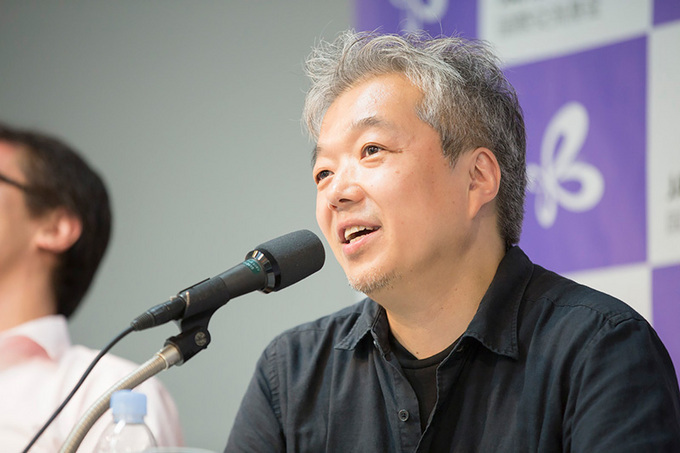 Artist, director of the Immigration Museum Tokyo, professor at Akita University of Art. Since 1990, Iwai has been working in the field of visual expression through complex use of visual images, audio, and installations, based on long-term research in specified regions. In 2010, he launched the Immigration Museum Tokyo, a project that creates common ground between newcomers and local residents through art. Co-founder, director, designer, and researcher of EDAYA,. Yamashita graduated from the Faculty of Agriculture and the Graduate School of Medicine at the University of Tokyo. In 2012, she established EDAYA, a brand of handmade jewelry and bamboo musical instruments inspired by the traditional intangible culture of an ethnic minority in the northern part of the Philippines. 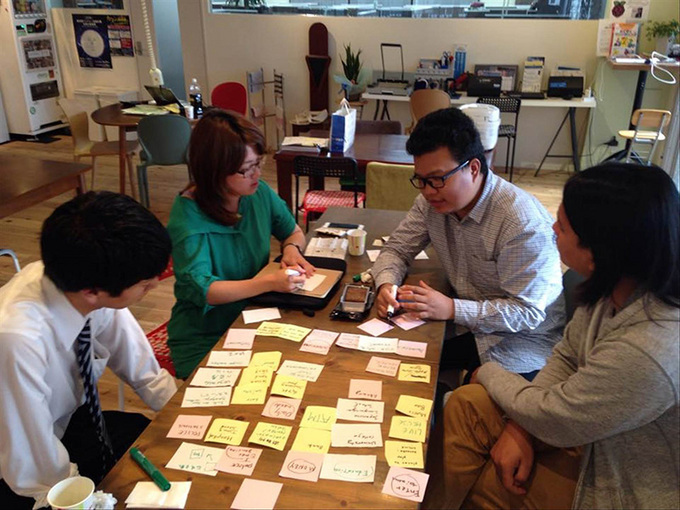 Yamashita is engaged in onsite research of the local intangible culture and educational activities. She also organizes art projects that link the ethnic minority in the Philippines with local communities in Japan using bamboo as the keyword, from the perspective of learning from one another as fellow Asian people. 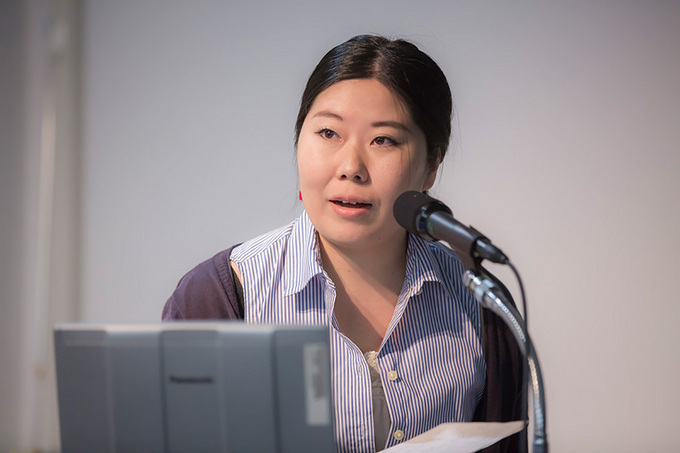 Representative of NPO Shinjuku Art Project, interpreter. Raised in Peru, UK, and Japan, Ebihara had a true multicultural upbringing. 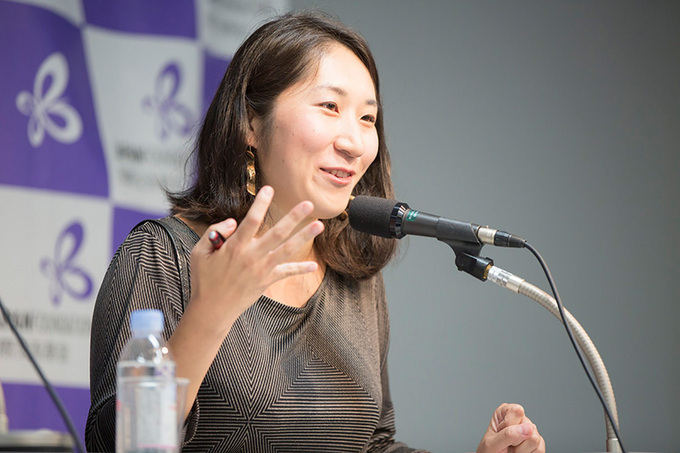 After graduating from Keio University, she worked at the Japan Foundation and other international organizations. 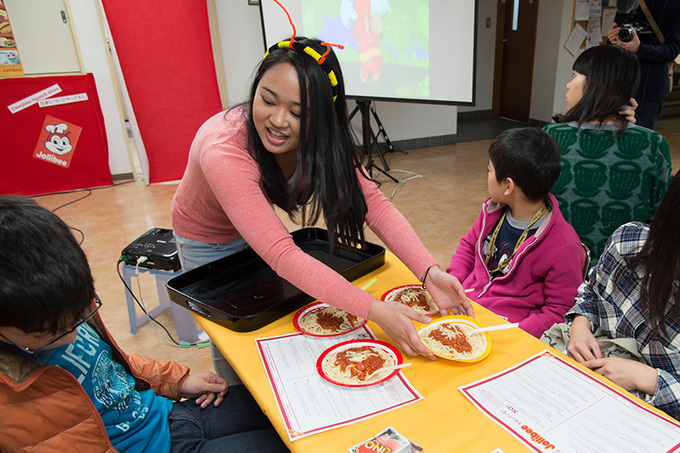 In 2009, Ebihara started organizing art workshops for children and young people with migrant background, creating a place for diverse people to get together. Since 2014, she has been working in the field of fostering of diverse human resources with a focus on young people. 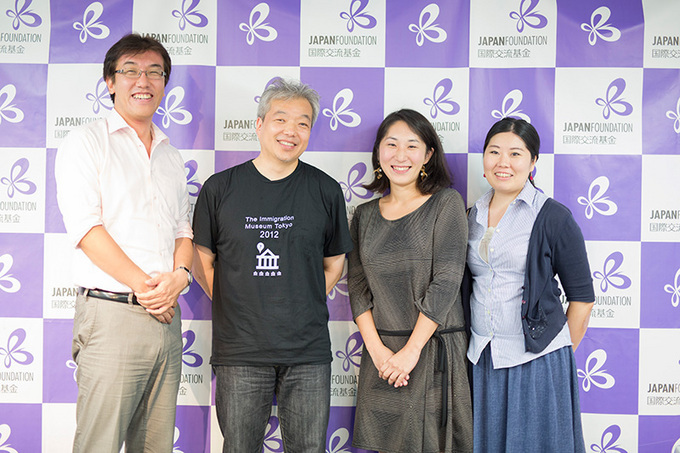 In 2015, Ebihara joined the NN Life Social Entrepreneurship School.